This year, she was named one of the 25 entrepreneurs to watch by Fizzle.co. Shelley Sandiford: Sure. My business is called Sciconic.com, and you can reach me at Info@Sciconic.com. I’m also Shelley Sandiford on LinkedIn. You can reach me there. My company is also on Twitter. The Twitter handle is @SciconicMedia. Jonny Nastor: Excellent, and it is definitely, definitely, definitely worth checking out. So LinkedIn, @Sciconic on Twitter, Info@Sciconic.com is Shelley’s email, and Sciconic.com is the website. All that, as well as Rhapsody Strategies, will be linked to in the show notes. So that’s it. This has been a lot of fun. As always, as always, as always, I truly, truly do appreciate you stopping by. It’s just always a lot of fun, and I do thank you for that. 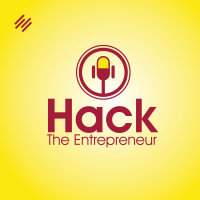 If you want to reach out to me, you can find me on Twitter, @JonNastor, or find me through email, Jon@HacktheEntrepreneur.com. I would love to hear from you.